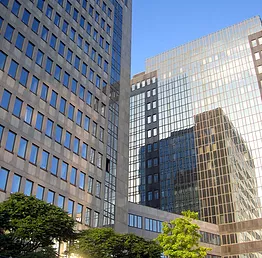 Leasing – JNM Realty, Inc.
We have been Leasing for several years, and our experience has shown us how to deal with prospects in finding the most suitable and happy tenant. Likewise for the owner. Our time is your time. Therefore we want to get the space rented as soon as possible for the most amount of money to the right tenant. INITIAL INSPECTION: Walk-through of the unit/space, taking procedures to making the space presentable to potential prospects, and taking pictures of the unit and building. ADVERTISING: The listing will be created and posted on many websites, such as, Westside Rentals, Zillow, Radpad, Padmapper, Craigslist, Hotpads, Loopnet for retail or office space, and many more. As we are members of a majority of all rental websites and services. A For Lease sign will also be put in front of the building. We will directly take all calls. We show the space, we hold Open Houses, and get the space rented. REPORTING: We give weekly reports on all applicants and prospects. TENANT SCREENING: Prospects fill out our AAGLA Rental Application, we run their credit, background, and any criminal history. Applications and credit history can be delivered/sent to the owner for review. LEASE SIGNING: When the applicant has been chosen, we can prepare and provide the lease for signing.